French lubricant giant extends the long-lasting relationship with Yamaha to the Official WorldSBK team. Extending their presence in the WorldSBK paddock, the FIM Superbike World Championship’s title sponsor and official lubricant partner since 2016 Motul have announced it will be supporting the Pata Yamaha WorldSBK team for 2019. Recognized as one of the leader lubricant’s companies, the French giant will back up the Official WorldSBK Yamaha team strengthening like this its long-lasting relationship with the Japanese manufacturer. “Motul and Yamaha have a long and distinguished history together in racing” explained Andrea Dosoli – Yamaha Road Racing Manager. “We are very proud that Motul has now extended this partnership with Yamaha to the FIM Superbike World Championship, as we welcome them as the Official Lubricant Partner of the Pata Yamaha WorldSBK Team”. “For Motul, this new partnership represents the continuity of a long and successful relationship with Yamaha. But, of course, there’s more to it than that” added Arnaud Laire, Vice President of the French company. “Motul has always worked together with and been trusted by its partner manufacturers and teams in the search for increased performance, better reliability, and excellence. None more so than Yamaha over many decades”. With more than 150 years of experience in the field, Motul has been offering its technical support to different winning and prestigious teams as the likes of the MotoGP™ Factory Yamaha Team and by joining the Pata Yamaha WorldSBK squad the French company aims to continue to showcase the quality and innovation of their products in the world’s most prestigious production-based bike racing series. Delighted for the new support his team will have in chasing the 2019 championship crown, Paul Denning, Pata Yamaha WorldSBK team principal commented: “It is with great pride we are able to welcome Motul as the Official Lubricant Partner for the Pata Yamaha WorldSBK Team. Motul will be a powerful tool in helping the team and Yamaha to challenge for more victories in the WorldSBK Championship by increasing R1’s performances and durability”. Heading into their fourth season with Yamaha, the British based squad will continue with the strong line up of Briton Alex Lowes and Dutchman Michael van der Mark with whom they achieved creditable success in 2018. Last season welcomed many podiums and victories of both the two riders and van der Mark finished 3rd in the championship standings at the end of the season. Counting on the additional and valuable support from the French partner, the Pata Yamaha WorldSBK team duo will look forward to adding more trophies to their cabinets for 2019. 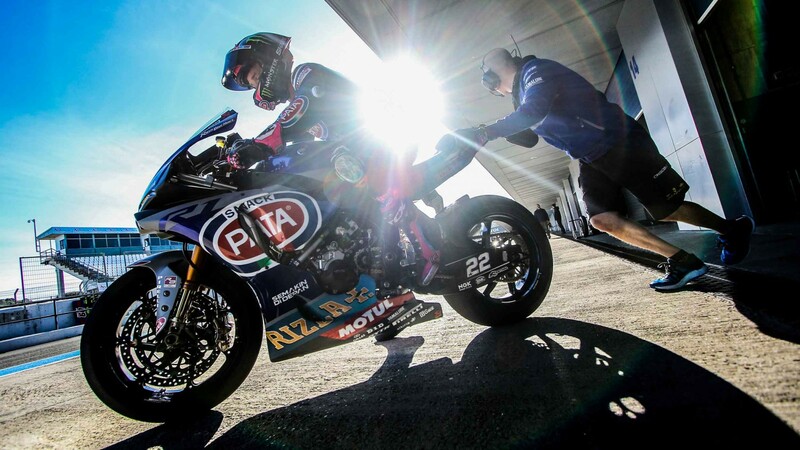 Follow how the Pata Yamaha WorldSBK team will take advantage of the prestigious new partnership with Motul in the 2019 WorldSBK campaign, all thanks to the WorldSBK VideoPass.